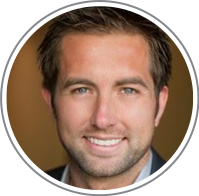 Matt Vlasach is the Director of Product at Wandera, the world’s first Secure Mobile Gateway. Wandera offers mobile threat prevention and data-usage optimization with real-time analytics to address the mobility challenges of today’s enterprises. Hi there Matt! Can you start us off with a bit on your background in product? Matt: Yep! I actually came from a service integrator and consulting background, where I built custom enterprise mobility apps and tools for customers. For backstory, I worked for a company that was evaluating Wandera to assess the mobility challenges it sought to solve. I thought they had a really unique approach, great technology and were doing things differently in their space. But, I found a few flaws in their mobile implementation, prompting me to get in touch with their product and engineering teams to offer a few suggestions because I really wanted to see it work! That’s pretty funny. You were helping them bug bash? Do you feel like that consultative background informs your approach to product and strategy? Matt: Yeah, absolutely. I have an appreciation for Sales. We’re very much a sales-driven organization, from a Product perspective. Nothing gets built unless there’s a recognized dollar amount attached to it. We’re all about that, too. Matt: I think it helped having had to wear a lot of hats early on. I did the Sales Engineering role for a while, and loved sitting in front of customers and getting their feedback, designing solutions on the fly, and understanding what really matters. Now, I do my best to bring that into product decision making. I feel that experience has been a pillar for my development as a product manager, I almost miss it nowadays! Almost! What challenges do you enjoy taking on as Director of Product here? For your customers, I mean. Matt: Where we focus is in three areas, the first being cost control. Actually, our roots lie in customers who were moving from Blackberries that used very little data, to new devices where all of a sudden you could download movies, videos and do all this app-rich stuff. Imagine you’re roaming and streaming “Games of Thrones” in Dubai on Netflix in 4G. That’s like $50 a meg, and the bill shock instances were insane. We’ve since evolved to help with compliance use cases as well. As an example, some of our big organizations don’t allow certain cloud services, so we’re able to block those and nudge users into the approved ones. Our final but most important offering is mobile security, ensuring that the apps you’re downloading aren’t leaking your location, password, or doing something else fishy. This is important because – take the password leak for example – that password you may use for a random app may be the same one you use for a corporate account login, and if someone intercepts that in an airport or on public wifi, they can cause a whole bunch of damage by accessing company data. Makes sense. In terms of the day to day for you, what are common challenges that you encounter? Of course good design and proper execution takes time, and in an industry that is rapidly evolving, it is very difficult to ensure the right balance is consistently struck. So, striking and maintaining that balance is definitely my most common challenge. That makes sense, a need for that consistent experience. Matt: Yeah, in a nutshell I would say my biggest challenge is making sure that everyone, from Product to Engineering, has the mentality that quality of design is incredibly important. That definitely resonates. So to be honest, I’m not super familiar with enterprise mobile security solutions. What kind of market is it? What are examples of different definitions? Matt: It’s funny because it tracks the same trajectory as laptops over a decade ago. Some folks might consider mobile security to be content filtering. Others think of malware, or airport networks you connect to during your layover. All really very different things. What we’ve found is that few companies have really thought about the entire spectrum of mobile security threats. They usually stick to what they know. We took a broad approach that covers the spectrum, allowing us to address a variety of customer requirements while helping them see the bigger picture. Okay, last question. Pretty excited about it. From a mobile security perspective, what do you guys think about Pokémon Go? Matt: [Laughs] Oh man. There were a few early issues that have since been fixed, but now I think the biggest risk is making sure you don’t step into the street at the wrong time while chasing one of those little guys… See! “Mobile security” with yet another definition! Cost-conscious Pokémon trainers need Wandera. Posted by on Thursday, August 25, 2016.